Pine Rest is committed to partnering with the research community to uncover the causes of depression and related conditions, advance diagnosis and treatments, and help prevent disease so that people can have better health, longevity, and quality of life. We partner with the biotechnology community, industry and academia-based research programs. Together with Michigan State University College of Human Medicine, Pine Rest is an associate member of the National Network of Depression Centers. The Pine Rest clinical staff and MSU College of Human Medicine faculty members have been published in several high impact scientific journals on depression, schizophrenia, dementia, bipolar disorder, bioethics, epidemiology, inflammation, selective serotonin reuptake inhibitors (SSRIs) and platelet function, and have worked on projects involving pharmacogenomics, electroconvulsive therapy, new depression screening tools and psychotropic medications, biomarkers of depression, and the impact of forgiveness and spirituality on treatment outcomes. Clinical staff and faculty members also serve as reviewers for numerous peer-reviewed journals as well as members of institutional review boards and NIH study sections. 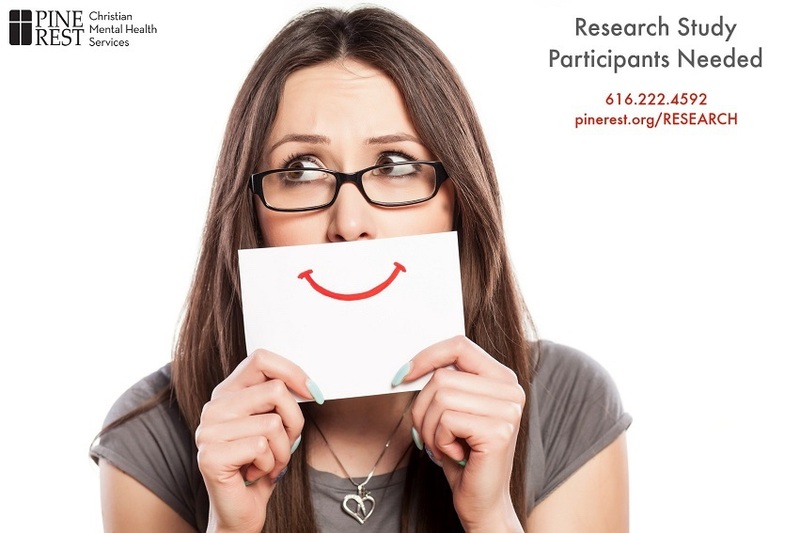 Learn more about participating in mental health research at Pine Rest. On November 13-14, 2017, Pine Rest and the Michigan State University College of Human Medicine (MSU) hosted their first Depression Summit in Grand Rapids, Michigan, to draw attention to the problem of depression and stimulate research. Together with MSU, Pine Rest is an associate member of the National Network of Depression Centers. The summit was a great catalyst for networking among depression researchers as well as introducing attendees to Pine Rest and MSU as a potential collaborative partners in depression research. Pine Rest is among the five largest free-standing psychiatric hospitals in the country, providing more than 300,000 outpatient visits annually, and employing more than 75 practicing psychiatrists. As a teaching hospital for the Michigan State University College of Human Medicine, we educate medical students, PhD students, psychology interns, nursing students, post-docs, fellows, and practicing physicians.